Why I trade, it took me awhile to get to the point to ask myself this. Everyone that I follow always tells me to start with why. Of which they are referring to the book “Start With Why” by Simon Sinek. Which I’ve “read” really listened to, if it wasn’t for audible I wouldn’t read any books. But the thing that took me the longest to figure out was my why. Of course, when I started trading I got into it for the normal reasons that someone would get into it. Money. I wanted to make money, I wanted to make enough to where I didn’t have to work anymore, I was 24 at the time. The bug bit me, I dove deep into the internet trying to figure out how other people were doing it. I knew it was possible I personally know a lot of wealthy people that live off of dividends but they all knew someone that we’re active traders and made more money than I could fathom. At first for me, it was about the daydream of taking a personal jet to the west coast for the day just because I wanted to visit. Or have enough money to where I could invest in some smaller companies to help make them the next tech giant. (Still wouldn’t mind being able to do that) But that “why” fizzles out when you’re hit with the daily reality of well, reality. Getting up at 4 am and working until 5 pm. ( I had a long commute). You realize you won’t ever have the time to trade like a pro. But that wasn’t the only thing holding me back and discouraging me more than anything. It was the fact that I didn’t have enough money to be able to hit the mark I wanted to hit in less than two years. And between saving money from my day job and delivering pizzas at night wasn’t going to cut it. Plus I was so consumed by it, I was literally missing some of the best years of my life because I was so concerned with making it. I blew out my account twice over three years and nothing to show for my efforts made me realize that maybe I need to take it back a few clicks reevaluate and enjoy life a bit then move forward. Some people may cringe at this, but I then cashed out my account and bought my now wife’s engagement ring. Turned out to be the best investment to date. She now has also given me the best gift in the world and that’s our son Ben who is laying beside me sleeping as I write this. I have since refunded an account with Robin Hood (to force me to stick with stocks) and now having some time away from the market has given way to some clarity not only in my personal life but in the way I view the market, understand it, and trade it. I have a new why, and it has helped make every decision I make crystal clear, he is six months old and his loving mother. My why is to make sure that no bill goes unpaid, we get the forever house we always wanted. It’s to ensure that they never go without. It’s not about the fancy cars and private jets (although it would make flying with a baby a lot easier with a lot less mean looks). Don’t get me wrong I would love to be able to buy that supercar one day, I’m only 30 I have plenty of time to get that type of thing, I loved watching Top Gear as much as anyone else. But being there for my kids and being able to provide them is way more important. So I take longer safer trades. No more day trading, much more strategic options trading. Slow and long-term growth through shorter term trades. What I have in 10 years from now money wise is going to matter so much more than what I have now. I’d like to be able to walk away from my job by 40 maybe sooner we will see. That’s more important than fast cars and private jets. I mean who doesn’t want that, but the reality will wear you down and force you to quit and give up on those unattainable dreams. It’s much easier to make those dreams and goals attainable, you’re more likely to stick with it and more likely to succeed. So I encourage you to find your why, find your realistic why. Find what makes you happy and use money as a tool to help you attain the goals that enforce that happiness. Don’t let it consume you because once you “make it” there won’t be anything there waiting for you at the end other than the money that you made. Remember money is only a tool to help you achieve your goals. Money is not the goal if it is you have some disappointments coming your way. 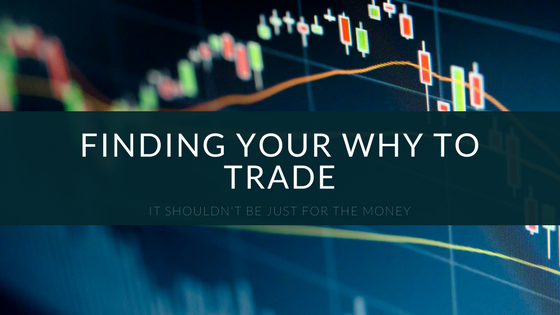 Finding my why helped define my trading management, trading style, and my trading plan. When you don’t feel like there is so much on the line you lose a lot of that fear that can destroy traders. So afraid of losing or so obsessed with winning they end up losing it all. Don’t be afraid to lose, just know when it’s time to cut the losses and change the course of action. Some people ask me if they should trade options, well my answer to that is, does that type of trading fit your why, will it help you reach your goal or will it make it get further away? 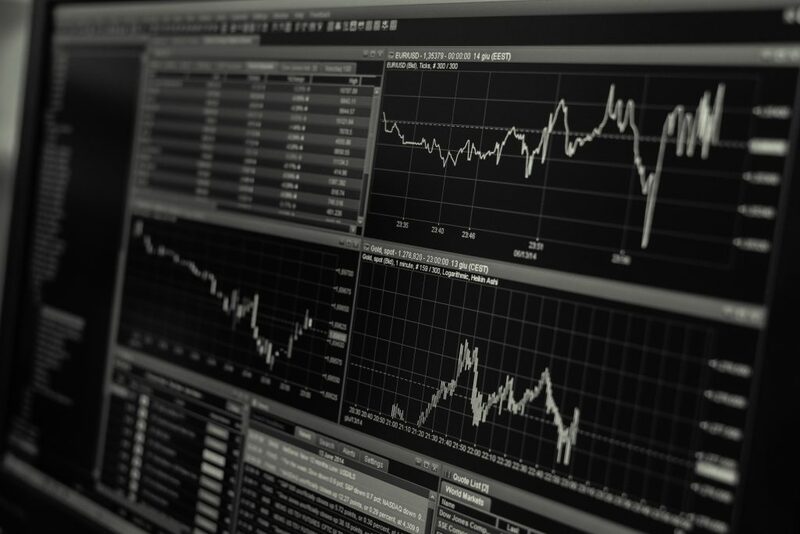 Should you trade mutual funds, ETF’s or stocks? Well, which one would be in line for you to reach your goals. If you have to go to bed at night worrying about your trades and/or investments it takes away from your real life and then it does not fit your why. Find your why, and it will be your ultimate guide, wherever your trading or life takes you.